The equilibrium phase diagram and thermodynamic properties of a mixture of drugs and additives are information related to various possible interaction processes between components. Therefore, we conducted a study of the phase diagrams and thermodynamic properties of binary mixtures of ketoprofen-succinic acid to estimate the types of interactions that may occur between these materials. The solid-liquid phase diagram of ketoprofen-succinic acid binary mixtures was determined by differential scanning calorimetry and composition of eutectic system was determined accurately using a Tamman diagram. The measurement of binary mixtures of ketoprofen-succinic acid with differential scanning calorimeter obtained the value of melting temperature and heat of fusion of ketoprofen- succinic acid system. The solid-liquid phase diagram of ketoprofen- succinic acid showed the formation of eutectic type phase diagram. The Tamman diagram showed accurately composition of the eutectic system of the Kp-SA binary mixtures at the mole fraction of Kp 0.87 and temperature 96.9oC. WICAKSONO, Yudi; SETYAWAN, Dwi; SISWANDONO, S.. Phase Diagram and Thermodynamic Properties of Ketoprofen-Succinic Acid Binary Mixtures. 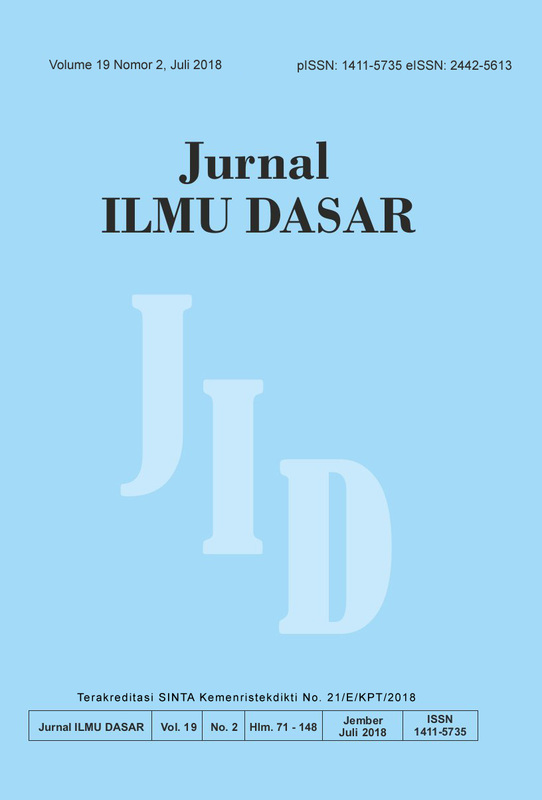 Jurnal ILMU DASAR, [S.l. ], v. 19, n. 2, p. 99-104, july 2018. ISSN 2442-5613. Available at: <https://jurnal.unej.ac.id/index.php/JID/article/view/5521>. Date accessed: 26 apr. 2019. doi: https://doi.org/10.19184/jid.v19i2.5521.